LONDON (Reuters) – Britain’s Prince William and his wife Catherine are expecting a baby, destined to be the country’s future monarch, although the mother-to-be is in hospital with a type of very acute morning sickness that sometimes indicates twins. “Their Royal Highnesses The Duke and Duchess of Cambridge are very pleased to announce that The Duchess of Cambridge is expecting a baby,” the prince’s office said in a statement on Monday, adding that Queen Elizabeth and the royal family were delighted. 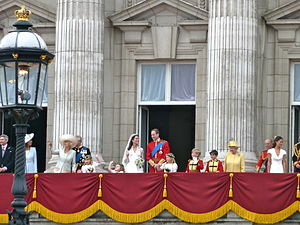 Nothing seems to catch the attention of the world at large like the life of royalty, especially the British monarchy. The Bible has its share of royals, and next week we’ll take a look at individuals among the more famous…or infamous, and some who barely merit a sentence in the whole context of their times.